Your complimentary consultation will last up to one hour. During this time you will meet with the owner and lead officiant, Carol Lynne. 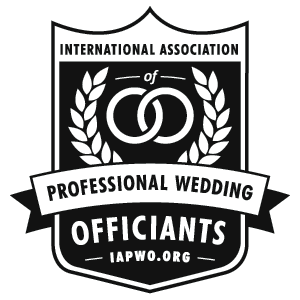 She will share with you what it is like to work with a professional officiant. Once you sign up with us we will further discuss your needs and vision for your ceremony. We will develop an outline for your which you can use for your programs. A $100 deposit is all you’ll need to reserve your officiant. The balance isn’t due until your 30 days before the ceremony. Deposits are non-refundable but can be applied to a future date if your plans change.The fees for our services can vary depending on the officiant you select, the date and time of your ceremony as well as the location. Typical costs for our professional; services begin at just $299.